Looks like the retro nostalgia market continues. 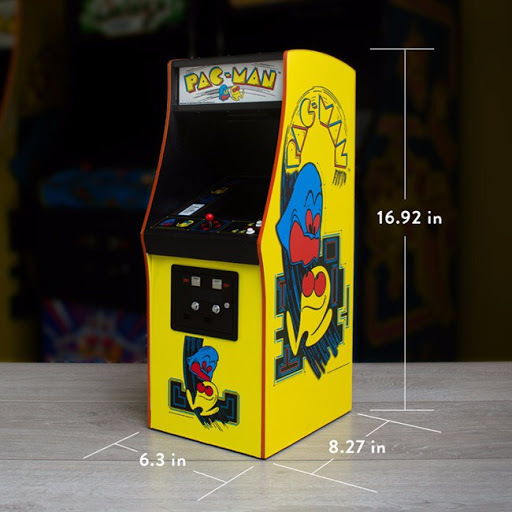 -Official Bandai Namco Entertainment product: 1/4 scale playable replica of the original 1980s PAC-MAN arcade cabinet. 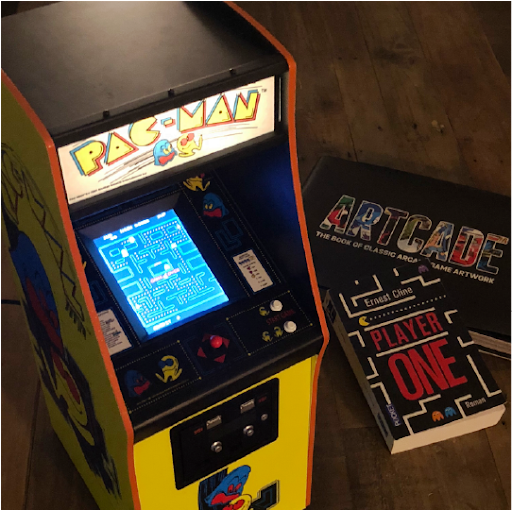 -Quarter Arcades #1: First of the series – collect them all to build your own miniature arcade! -Releasing as a ‘Collectors Edition’: Limited to only 10,000 units worldwide. -Includes exclusive ‘PAC-MAN’ coin and ‘Collectors Edition’ packaging: – once they’re gone, they’re gone. -Realistic replica: Everything from the artwork, shape, wooden shell and buttons are precise replicas. -High-quality: Made for durability, playability, and portability, playing the original arcade ROM. -Pre order now to get early bird pricing. I know we don't post about every single min-cabinet found at Target and such, but this one is playing the original arcade ROM. And boasts a "perfect" scaled replica of the big cabinet. Looking at the pictures, Galaga, Ms Pac-man, and Galaxian are next in the series. In the one pic, the LCD looks way too bright, but that might be just the camera. Probably not something I'd get, but I posted about it anyway. Who knows? Maybe someone can hack this to play multiple games on a single unit. Looks adorable, but needs a 4 in 1 multipac. Original Pacman gets boring. Price is a bit too high for what it is - though Since they are only producing 10,000 I'm sure they'll sell them all. Think the arcade 1up design is a better value at $299 for the 3 or 4 games and larger cabinet design but these will make nice desktop displays for those with the cash to spare. Hopefully the joystick is a 4 way instead of 8 way and that it actually works properly at that price. Guess this could be why Arcade 1Up isn't doing any of the Namco Titles -- ( namco probably signed some sort of exclusive for these for a certain time period). I've already got a keychain PacMan cabinet that cost $15. Looks adorable, but needs a 96 in 1 multipac. Original Pacman gets boring. All the companies are probably licensing their arcade stuff to different companies. All the manufacturers will be fighting over exclusive rights. Still waiting for Donkey Kong cabinets. Nintendo would probably make them themselves. Actually, it would probably be a cardboard Labo cabinet kit for the Switch. That's kind of the point of this forum, bro. At least no one has asked if a RPI will fit in there yet !! I have one too... that thing is awesome. I also have a Galaxian. Prefer the Space invaders one myself ! One video I saw (from RGT 85) says it has a 5 inch TFT screen and an internal battery. Dunno where to find the official info for that though. it's actually cheaper than i thought. i paid $150 for a limited edition pac-man watch, so this is a bargain. this years (that has multigame), the portables, and the miniarcade versions. 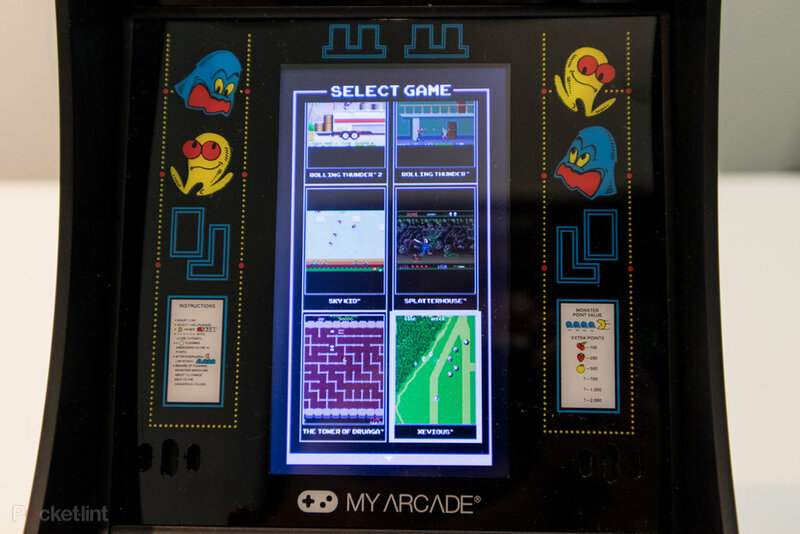 the myarcade version should be arcade perfect in play (just not the controls), or screen though. the single player standalone is the NES version unfortunately. ^ is that batstick just hovering above the d-pad? You can fake all kinds of stuff in renders! Looks like an LCD, deal breaker right there! i'm pretty sure every mini arcade has an LCD, this one, and the original one. the myarcade will probably be around $100 or maybe $75, not sure. Their current data East myarcade cabinet is around $60 or $70. For these pricepoints, what do you expect? 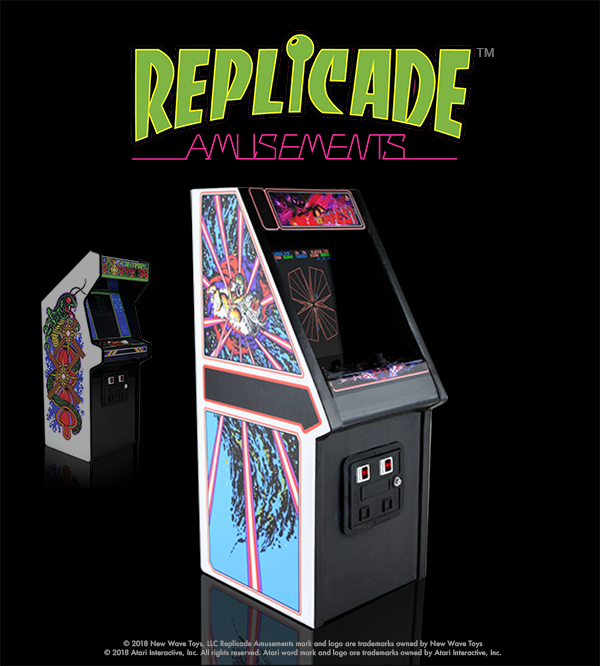 Even replicade, which looks awesome, uses LCD's. Will these be sold on Amazon at some point? here's a better picture, with the gamelist. For the first time in my life, I'm thinking, "there are too many affordable and readily available retro arcade cabinets." This ain’t yer daddy’s MAME! When Toys R Us closed I picked up a Bad Dudes in almost the exact same form-factor. It is actually a nice little unit. I miss the days when everyone was making their own minis. I saw those minis at WalMart yesterday. I think they were like $25. Yes, the bat stick screws into the D-pad. which are the NES versions. and use the arcade roms where applicable. had more levels on it. 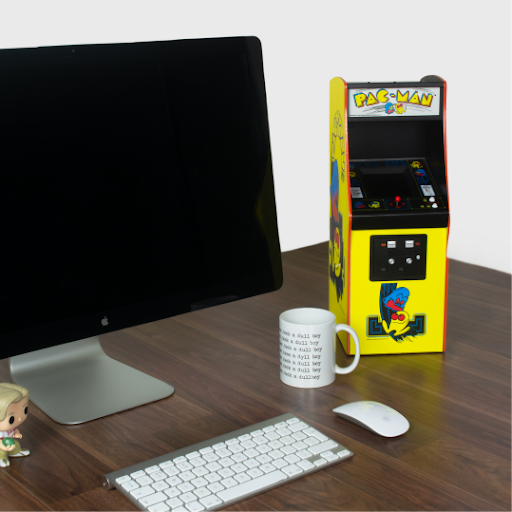 But, in all seriousness, this mini-pacman would probably look pretty cool on your desk at work. Just don't let anyone see the LCD screen or you'll lose all your cred. Yeah, well, good luck finding a CRT that small. i'm perfectly happy with my hallmark ornament. ^What's up with the screen ratio?!? nothing. its vertical for once. Yeah, that's nice for once, but why is it so loooooooong? It’s because they cheaped out and used a regular 16:9 LCD instead of a 4:3. Obviously the former is easier to get right now as opposed to the later. 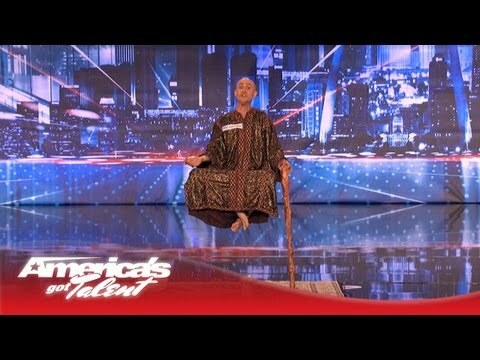 Yeah I worry about the future of the hobby because of that. Crt's are already almost impossible to get ahold of unless you rebuild a junker and 4:3 lcds are almost gone as well. I guess the eventual solution will be to crop out part of the lcd with the bezel and hack in custom resolutions that don't use the rest of the screen. That'll work for some cabinets, but not all.